Drivers going well over the speed limit isn’t something new, especially in Florida which is already known for having some of the worst and most aggressive drivers in the country. In fact, according to a WPLG article, it is not uncommon for the Florida Highway Patrol (FHP) to catch speeders going as much as 100 miles per hours or more. So, which are the areas that tend to attract the most speeders? Let’s take a look. We’ll kick things off with the Gratigny Expressway which FHP says has resulted in more than seventy drivers receiving a ticket between the period of January 2017 to September of this year. In particular, the stretch between Lejeune Road and Red Road is known for people going at least 100 mph or more. Speaking of major highways, the Florida Turnpike is also popular with speeders, particularly Griffin Road to Sunrise Boulevard. 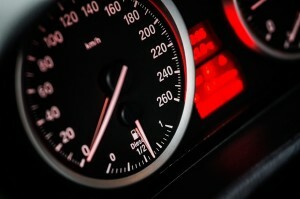 Over 200 drivers have been caught speeding. The dubious honor of the number one speeding spot goes to another highway: I-75 north. As for the area, it comprises Alligator Alley, from U.S. 27 east. If 200 drivers being busted on the Florida Turnpike weren’t enough, FHP has caught a whopping 221 drivers soaring through at those same high speeds. To read more, check out the WPLG article at the following link: https://www.local10.com/news/local-10-investigates/fhp-troopers-target-these-speedway-hot-spots-in-south-florida. This update is brought to you by the Miami traffic attorney team of Hochman & Goldin, P.A. We can assist you with criminal traffic violations and are ready to answer your questions. Please call 305-665-1000 to speak with a red light camera violation attorney today. This information is provided for educational or informational purposes only and should not be construed as legal advice. The information is not provided in the course of an attorney-client relationship and is not intended to substitute for legal advice. Uploading a ticket does not create an agreement of representation by our firm. You will receive confirmation that we have accepted your case and we will contact you for payment arrangements.